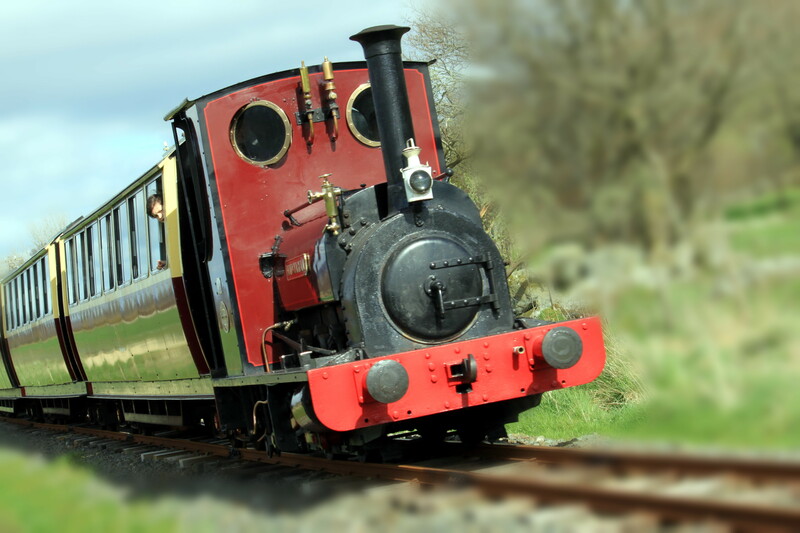 The 2ft narrow gauge steam trains give excellent views of the lake amid its surrounding pastoral and woodland scenery, and of the nearby mountains, Arenig Fawr, Aran Benllyn and Aran Fawddwy. Your journey is described here in greater detail. Llanuwchllyn (the village above the lake) is the Railway HQ and regular trains link the village with the delightful market town of Bala. At Llanuwchllyn, visitors can see the steam locomotives being serviced prior to coupling onto the train, can view the 1896-built Signal Box in operation and can enjoy light refreshments in the Station Buffet. Often, visitors can visit the railways other engines in their shed. All trains start and finish their day from Llanuwchllyn and early visitors can see the locomotives being prepared for their days operations. There is free car parking at Llanuwchllyn Station as well as a buffet, souvenir shop, toilets and picnic tables. At Bala Station there is limited roadside car parking with large Car Parks in the town centre, about half a mile walk away. The railway provides an ideal centrepiece for a days visit to Bala Lake (Llyn Tegid). A round trip of about 1 hour can be broken at any of the stations to enjoy other activities - a pleasant 10 minutes walk into Bala town for shopping or merely browsing. Access is available to the lake shore at various points for swimming, fishing or simply lazing by the waterside.